Is it just us, or do the winters seem to be getting colder and colder? It gets so frosty outside that sometimes we want to throw all our cares out the window and just run around in one of those head-to-toe puffer coats. For that very reason, we're delighted to report that there's one coat style you can rely on to keep you warm on those frigid days: the long wool coat. At first thought, you may think these are quite the investment piece, but the style has come a long way and there are now great options no matter your budget. Our editors went through great lengths, no pun intended, to find you the most fashionable long wool coats online. We may or may not have scooped up a coat of our own—just a danger of the job. The beauty of this coat style is that you can wear it with just about every outfit. If you're going casual, throw it over a sweater, jeans, and cool sneakers. More polished? Try a long wool coat over a tailored blazer, a classic sweater, culottes, and ankle boots. The sky really is the limit here. Keep reading to shop our editors' top picks for the best long wool coats of the season. Your cold legs will thank you. There's nothing more classic than a camel coat. A checked coat instantly elevates any look. A long black coat that you'll wear forever and ever. Minimalist done right. Anyone else getting The Row vibes? The contrasting plaid pockets are too cool. This belted option comes with a handy hood. This gray coat would go with so many winter outfits. At under $100, this camel coat is a steal. This long coat is elegant enough to wear over a formal look. A dusty pink option goes great with neutrals and denim. This checked coat is incredibly versatile, being able to be dressed up or down. We're loving the texture of this belted camel coat. We see this working well in a office-ready wardrobe. Ganni makes great fashion-forward pieces including this baby-blue coat. We're obsessed with this sleek option and the contrasting lapels. An effortless option you can wear anywhere. This oversize coat makes for a cool silhouette. Want a little bit of color? Try this vibrant checked coat. Another great black option with double-breasted details. Whether for work or a dinner date, this chic beige pick is spot-on. This plaid coat is super luxe and minimal. Go bold with an animal-print option. This collarless option goes perfectly with a collared shirt. This stylish blue pick looks amazing with jeans. 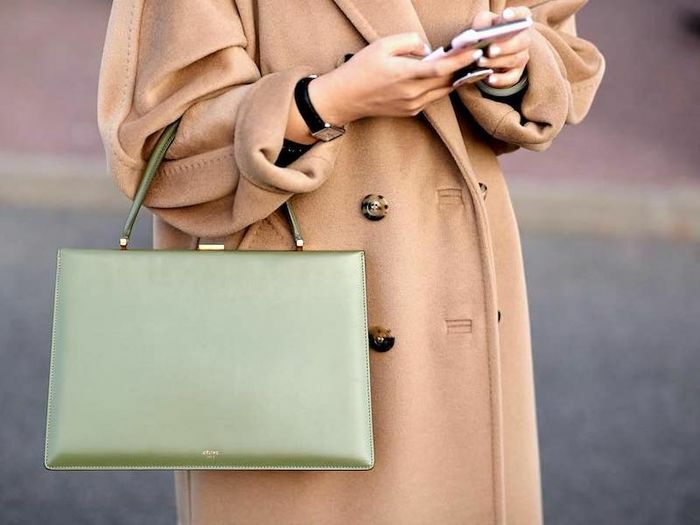 How gorgeous is this rich green coat? You can't go wrong with a burgundy coat come fall and winter. This avant-garde style is unforgettable. Now, check out these under-$150 coats that look crazy expensive.